And now we move to Storybrooke, mere moments after Emma disappeared. 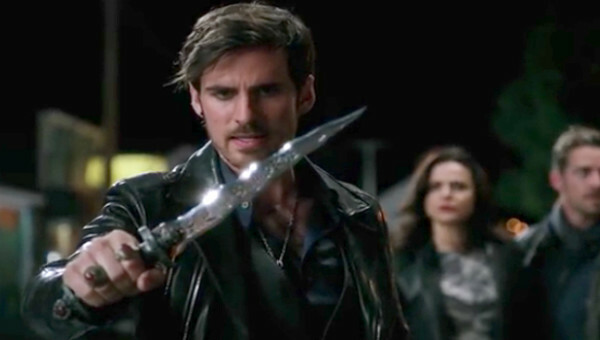 The stunned group is wondering where Emma has gone and Hook picks up the dagger, commanding Emma to his side. It's no use. Emma isn't in our world, and therefore cannot be summoned. Back to the Enchanted Forest again, to the vault of Rumplestiltskin. The door to the vault starts bubbling and produces a stunned Emma. She's more than a little weirded out, especially when she sees Rumplestiltskin - but he's no more than a spectre of the darkness manifesting itself as Rumple. A dark version of a conscience, so to speak. He's going to be her guide until she learns to embrace her darkness. Emma vows it won't happen, but he tells her with a saucy little laugh that they all say that. "The only way to stop is to be stopped," he tells her firmly. In Storybrooke, the apprentice is conscious but not doing too good. He lets them all know that Emma's in the Enchanted Forest and then he poofs up a wand that was a gift from Merlin. It carries all the light magic, but to cross realms it must be wielded by someone dark. Regina gives it a go, but she's too light to do it now. Meanwhile, Rumple is still in a coma. Belle wants to remain by Rumple's side, terrified he's going to die without her there. Blue poofs up a genuine bona-fide Beauty and the Beast flower to help Belle more accurately predict when Rumple's gonna bite the big one. Down in the hospital looney ward, Regina, Robin and Hook pay a visit to Zelena to ask for her help. Zelena isn't sure if she wants to go along for the ride, but she does figure out that the wand needs something personal of Emma's in order to draw the portal to her. She asks Regina to remove her magic-inhibiting cuff, but Regina refuses and storms out. This leaves Zelena to point out to Hook (with that wonderful, ingratiating smile) that she's the only way to get to Emma. Over in the Enchanted Forest, meanwhile, Dark Rumple offers to show Emma how to find a magical force that can guide her to Merlin. He tricks her into poofing herself to an area where she'll find a will o' the wisp. She begins chasing it down, and runs into our eagerly anticipated new badass, Merida! Emma uses dark magic to knock Merida on her arse (she's Scottish, so I have to say it that way, you understand). Then she apologizes, feeling terrible about it. Merida sympathizes with the whole curse thing, after having turned her mom into a bear, but when she offers to fight Emma fairly - no magic - for the ownership of the will o' the wisp, Emma refuses to do it. Merida sees that Emma's trying hard to fight the darkness and offers to help her. She tells Emma of the magical hill of stones. Back in Storybrooke, Hook approaches Henry and asks him to use the magical pen to rewrite the story and write the darkness out of Emma. Henry lets him know that he snapped the pen in half because it was the noble thing to do. Somehow Hook refrains from smacking the boy upside the head and asks instead, "What if there was a dangerous way to help your mother - something your other mother wouldn't like?" Henry assures Killian that what Momma don't know won't hurt her, and Hook asks Henry to help him break Zelena out of the loony hatch. 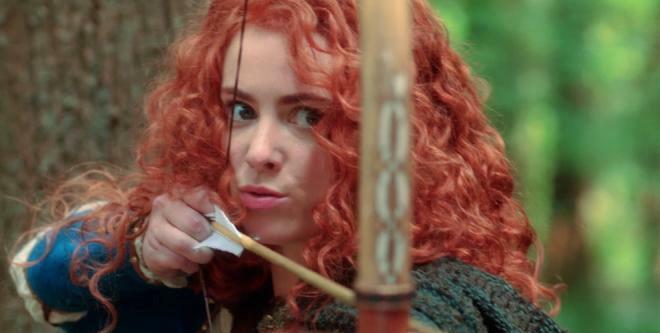 Over in the Enchanted Forest, Merida lets Emma know that her brothers have been kidnapped and held hostage because she's her father's heir and the united clans don't want her leading them on account of her mammary glands and uterine tendencies. They make camp, but Emma can't sleep. Dark Rumple shows up to explain that much like sparkly vampires, Dark Ones don't sleep. Well. This could be all kinds of exhausting for Hook eventually. Anyway, Dark Rumple explains that if Merida uses the wisp, Emma can't have it, Wisps only answer to one owner, and Merida owns this one as long as her heart beats. Henry meantime, has figured out the passcode to the loony hatch. He spills his coke on Nurse Ratched (and he even calls her Nurse Ratched!) and Chief Bromden comes to help as Hook steals the key. Once inside the cell, he starts to make a deal with Zelena. He's got the heart ripping out potion and pours it all over his hook, intending on controlling her with it, but like Regina, she's got hers protected and the ensuing blast knocks Hook over. She grabs his dagger and chops off her own damn hand, freeing herself from the bracelet before she poofs away. Whoops. Regina is really pissed (of course) that Hook let her out and he in turn accuses Regina of not wanting Emma back. Snow uses her Mom voice and insists that everyone get united to #SaveEmma! Regina knows that Zelena is most likely heading straight for Robin, and she's right. They come upon them on main street (as usual). Zelena holds Robin hostage, offering to trade him for the apprentice's wand. She wants her baby and she wants to go back to Oz where she can live free. Regina turns the wand over and Zelena opens up the portal, but before she can get out, Regina slaps the cuff back on her, knowing that the portal would weaken her. Back in the Enchanted Forest, Emma goes to wake Merida and finds her gone. Dark Rumple warns her that If Merida gets to the hill of stones and whispers into the wisp, she'll have lost her chance. Emma asks what the hill looks like so she can magic there - and she does. Merida draws her bow on her while Rumple whispers in Emma's ear like some creepy shoulder-devil. Emma's torn, but she's not letting Merida out of her sight. Over in Storybrooke, it's more like a curse is coming than a portal since Zelena conjured a cyclone. Regina has Emmas baby blanket and as they all stand in Granny's, she waves the wand over it and the blanket begins to glow. Leroy, Happy and Doc show up to join in the fun just before Granny's gets caught up in the cyclone and away they go. And look - baby Neal is coming too! Snow remembered her baby. Surely there's some reason for that. I mean, this woman doesn't go remembering her baby every day, here. I'm calling it - there's a reason the baby had to go back, too. Over at the circle of stones, Emma fights her growing darkness as Merida looses the arrow and lets it fly. Emma stops it in mid-flight, but refuses to use her power against her new friend. She just keeps catching the arrows and she's getting more and more pissed off as Dark Rumple goads her. She finally loses her cool and yanks out Merida's heart, just as her family and friends show up around her. "It doesn't matter how. 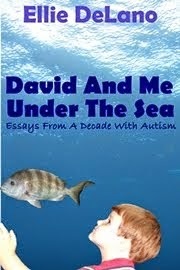 Has anything ever stopped me before?" That made me feel all moooshy inside. A little bit later, Merida's chasing the wisp when Emma approaches to thank her for her understanding. Merida tells Emma she was on her way to kill the people who took her brothers but now she's considering mercy instead. Not before punching the arseholes first, of course. As Rumple would say: "Confidence! I like it." Snow and David (oh, look - there's David. 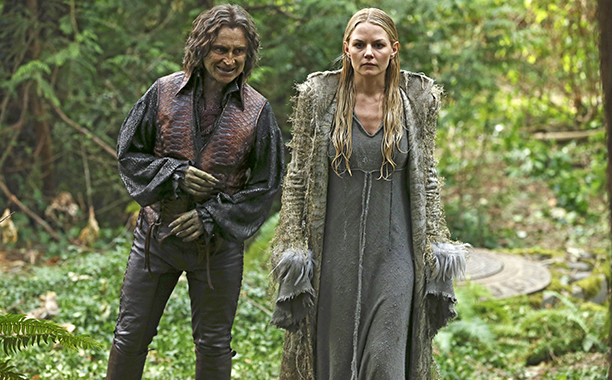 Forgot he was here) want to give Emma the dagger, trusting her to control herself. She refuses but Hook cautions her to take it - if it falls into the wrong hands, it could be very, very bad all around. She offers it instead to Regina. "I saved you, save me," she tells her. And if Regina can't save her, she expects her to do what no one else will do - destroy her. "Terrible news! No onion rings!" Suddenly, we hear the clip clop of coconuts horses and there's Arthur and his knights. He's come to find them because Merlin prophesied their coming. Yes, he's been missing forfreakingever, but not for much longer. Merlin's prophecy says the Storybrooke folk are destined to reunite Merlin and Arthur. Off they go to Camelot, and all of a sudden it's six weeks later. Sneezy is the new sheriff of Storybrooke (along with his sleepy deputy) and they're out on patrol. The sky lights up and Granny's is back. Our cast wakes up dressed in Camelot clothes, but - here we go again, folks - none of them have any damn memories again. The door flies open and there's Emma, fully dark and more than a little crazy-eyed.She turns poor Sneezy to stone and tells them all that there's no savior in this town anymore. Worse, she has the dagger, and she's intent on punishing them all for whatever it is that they did to her that they can't remember. She's The Dark One now, and it appears that our heroes (and former villains) have failed. Well, I'm going to give this one four dark daggers out of five. There was a lot of necessary exposition, and a few plot devices that worked (bringing Rumple in as her personal devil is a nice touch, as was the Beauty and the Beast rose to chart good Rumple's progress) but trotting out the memory loss thing again? I realize that sets up a whole bunch of flashbacks and reveals but....uhhhgh. It's getting a little old, guys. What happens next season? They all walk around with polaroid cameras and tattoos all over their bodies? (That was an awesome movie reference, by the way. 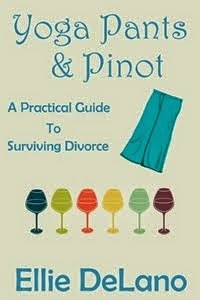 If you don't get it, find someone who does and then watch that movie - that's memory loss done right).